NO CONTACT RULE: Students are not allowed to play any games or be involved in any activities that involve physical contact. They must keep their hands and feet to themselves. AVOID WET AREAS: Students are reminded to stay away from the puddles, mud and wet areas on the pavement and field. 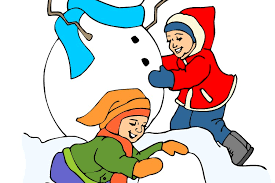 STAY OFF SNOW BANKS AND ICY SURFACES: Injuries can occur if students play in these areas.